As anyone who has ever been retweeted, favorited or answered by a celebrity on Twitter knows, it’s an amazing feeling. 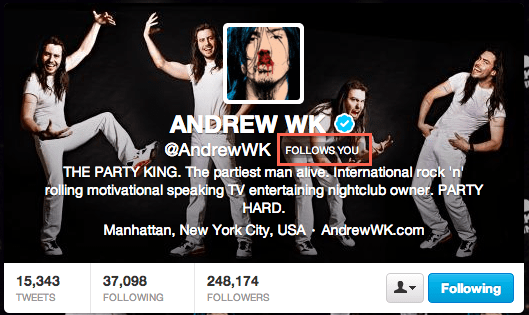 The day Andrew WK followed me I rejoiced. What is more validating than a famous person answering your tweet? The thought of a celebrity being amused by what you have to say, or chuckling to him or herself at your pithy quip is delightful. It makes you feel good. As a social media professional, I feel qualified to give some tips on how to get a celebrity to answer you on Twitter. This involves some Dos and Don’ts. Beg. For the love of Pete, keep your dignity! “@justinbieber OMG PLZ FOLLOW ME I LUV U SOOOOO MUCH XXXX” is just sad. Be sarcastic. You may think your sarcasm is witty and clever, but it is rarely well understood when written, so don’t try to catch a celebrity’s attention with sarcasm. Be insincere. Though sarcasm can be hard to spot, insincerity is easily identifiable in 140 characters. “@jtimberlake I looooooved you in ‘Bad Teacher,’ I totally thought it was oscar-worthy. Please follow!” Well that combines insincerity (because please, no one thought “Bad Teacher” was a good movie) and begging, so it’s a double no-no. NEVER LIE. Related to insincerity, lying will get you nowhere and will most likely get you into trouble later. That’s not really about getting retweeted by a celebrity, but just Twitter advice in general. Promote yourself. “@BrunoMars My band is playing covers of your song at our concert. Can I get a RT?” No. Be irrelevant. Tweeting at a celebrity about a topic in which they are likely to have absolutely no interest is simply not going to get you anywhere. Now, a disclaimer: I’m about to list some Dos, but you should note that lots of celebrities don’t have their @ setting enabled (they don’t get notifications when they’re tweeted at), so they won’t see your tweet. Also, if you’re tweeting at someone who has millions of followers, your tweet is likely to be missed. That said, here are some ways to get yourself noticed and tweeted back. Follow interesting people. Follow people who tweet things that are relevant and interesting to you. Don’t follow people just because they’re celebrities. Tweet interesting things. Foster your Twitter presence by tweeting frequently (without being a spam nuisance) and by sharing interesting content. Link to good articles, retweet fun things, make pertinent, clever and smart observations. It is possible to be eloquent and interesting in 140 characters, and you don’t want to fill your Twitter history with inanities. Get to know the celebrity. If you spend enough time on Twitter, you’ll get to know the kinds of things that celebrities retweet, mention or comment on. If Kevin Bacon tends to tweet about his musical activities and his movies, then tweet at him about seeing him in a show or a movie. Get to know celebrities’ interests, then share in them. Be yourself. 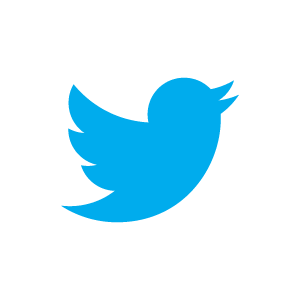 Just tweet about what you like. If you’re having a whale of a time on Twitter, then people (including celebrities you mention) will notice. Brendan Kelly is a local Montreal radio personality who apparently also likes the Rolling Stones! Interactions with celebrities on Twitter are great. But they are not the whole point of the platform. The best way to get noticed, get mentions, retweets and gain followers, is to put out fun and good content. Essentially, have a good time on Twitter and Twitter will have a good time with you. 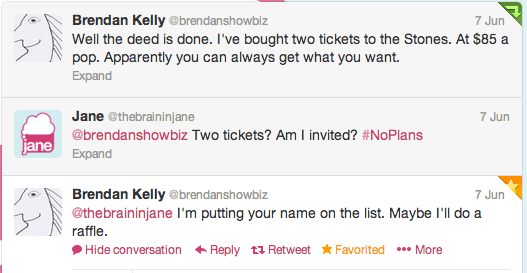 Have I told you that Brendan from Strictly replied to one of my tweets? Amazeballs. Nice one!! Yes, that is good thinking. I am LOVING your posts from Latin America! So, i’ve been trying to get noticed by a YouTuber on twitter. He is kind and he certainly does like following his fans to make them happy. Well in my case, I’ve been 3 months trying to get his attention but he doesn’t notice me. I don’t know what I am doing wrong but I am not doing any of the don’t above. I usually tweet him nice things, such as telling him that his videos on YouTube are awesome and to continue his hard work, etc… I really want him to notice me and get a follow from him. I’d appreciate if anyone helps! Thanks! In addition to the “dos” on this list, I perhaps should have also included that if you want someone to follow you back, you’ve got to post interesting and engaging materials yourself. It’s not enough to just post at the person you’re trying to contact, but also to post original content that is relevant to your interests (and presumably the interests of the person you’re trying to follow). Online follow relationships are mutual! You’ve got to contribute something interesting and relevant in order to see some results!